Using the book as a platform, I speak on personal growth and development, mindfulness, leadership, vulnerability, culture, entrepreneurship, self-awareness and more. Audiences I speak to include CEOs, professional organizations, business groups and up-and-coming leaders but I am open to speaking to anyone who may be suffering from Achiever Fever. 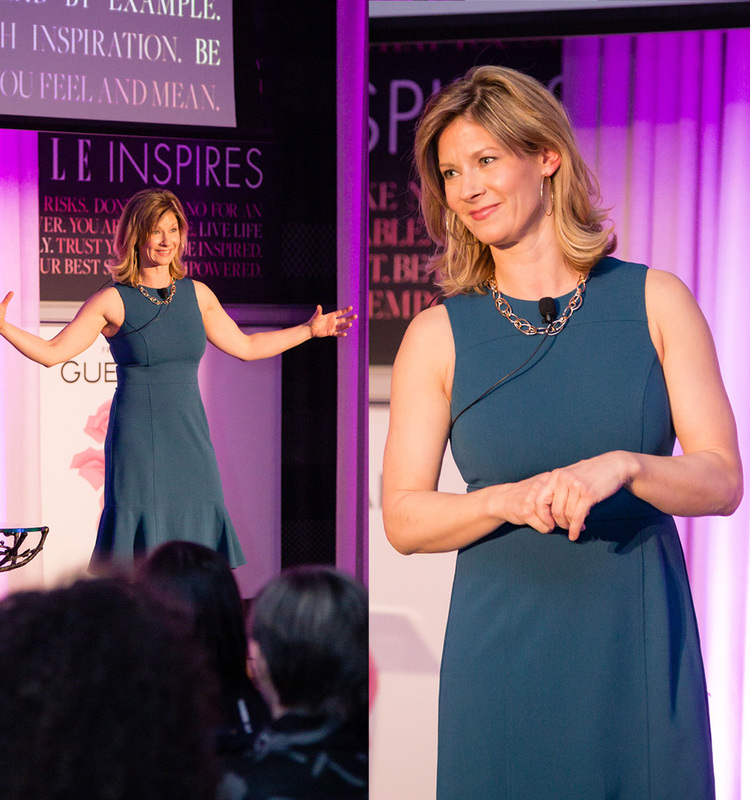 Book me today for an emotionally inspiring and engaging presentation to your group. I followed Claire as a speaker. As they say in showbiz, a hard act to follow. Thanks so much Claire, for your courage, your clarity and your concern for others that led you to write your book. Powerful stuff. Claire Booth has an exquisite talent for storytelling. Her vulnerability, presence and straight-shooting style had the FLOURISH LIVE audience captivated from start to finish. I highly recommend Claire as a keynote speaker. President and Founder, Lyra Growth Partners Inc.
Claire spoke at our annual conference in a room filled with successful entrepreneurs. Claire was not only extremely knowledgeable, but she was also highly engaging and very interactive. She was able to relate and connect with the audience in a vulnerable way. Our only regret was not having more time available for Claire, as we could have listened to her all day long! Thanks, Claire! Claire’s insights were a phenomenal reminder to look inward and her presentation provided self-reflection that was beneficial for both myself and my company. Claire kicked off the evening with a bang and delivered an insightful and meaningful presentation on managing our inner critic. Claire was definitely a crowd favorite and I would recommend adding her to your speaking roster without hesitation. Claire delivered a brilliant keynote for our annual client summit. She drew on key concepts from her book The Achiever Fever Cure and she educated our audience on the various biases they are impacted by on a daily basis. Claire’s energy and passion really stood out and I would highly recommend her. Claire is an inspiring and enthusiastic speaker who weaves heart-felt personal stories with practical research findings to engage her audience on an emotional and rational level.